Making art with natural images and leftover design snippets, along with assorted recreational doodles and ramblings. It's vacation time, so everybody wears a lot of hats and since some fit better than others, I have been struggling a bit and staying busy. 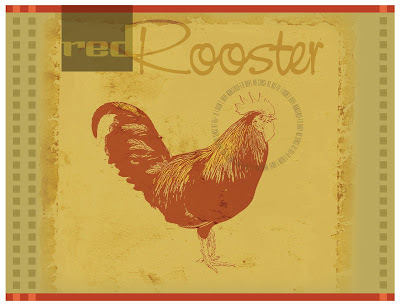 So, I thought I'd just post this rooster art that I did after we returned from Key West, a couple of months ago. Key West is covered with roosters and this one was so accommodating, I must have taken six pictures, before he strutted off, but not before giving me his best side and his trademark one-foot stance.